A classic bottling from this much loved Speyside distillery. 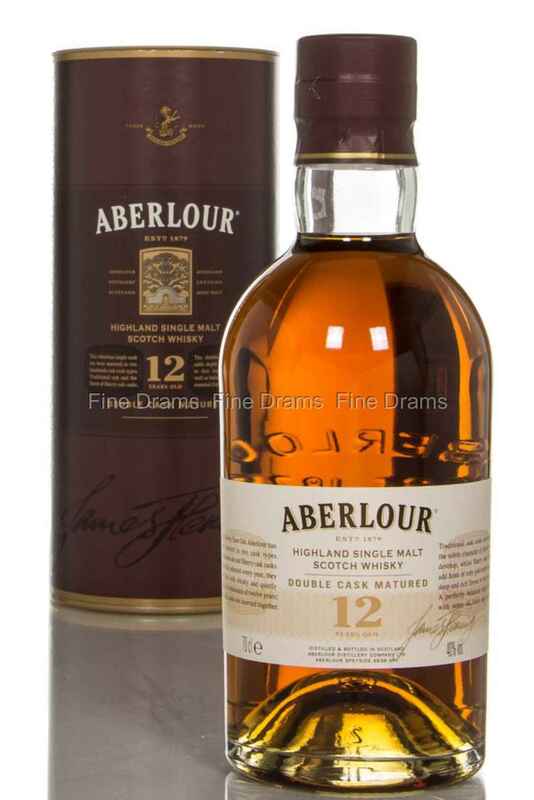 Aberlour 12 year old is matured in both sherry and Bourbon casks, producing a spirit of excellent balance. 12 years of aging have also rounded the edges of this whisky, giving it greater depth and complexity. Drinkers can expect vanilla, toffee, honey, cinnamon, clove, nutmeg and cream flavours from the Bourbon cask, with nuttier dried fruits, further spiciness, and richness coming from the sherry cask. Despite the 40% ABV strength this dram has a superb body and strength of flavour. A constant favourite, this whisky continues to offer great value for money.